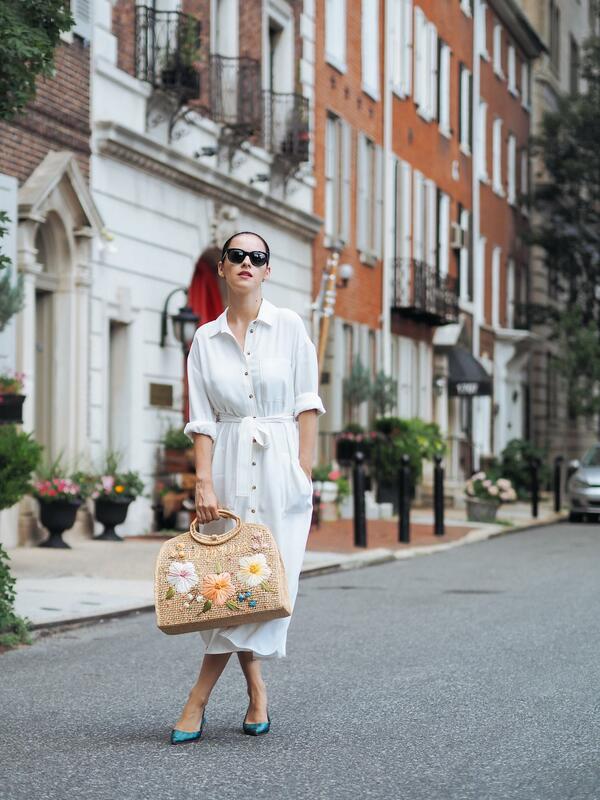 Philadelphia Day 2 and I'm embracing again a casual yet lovely white look. 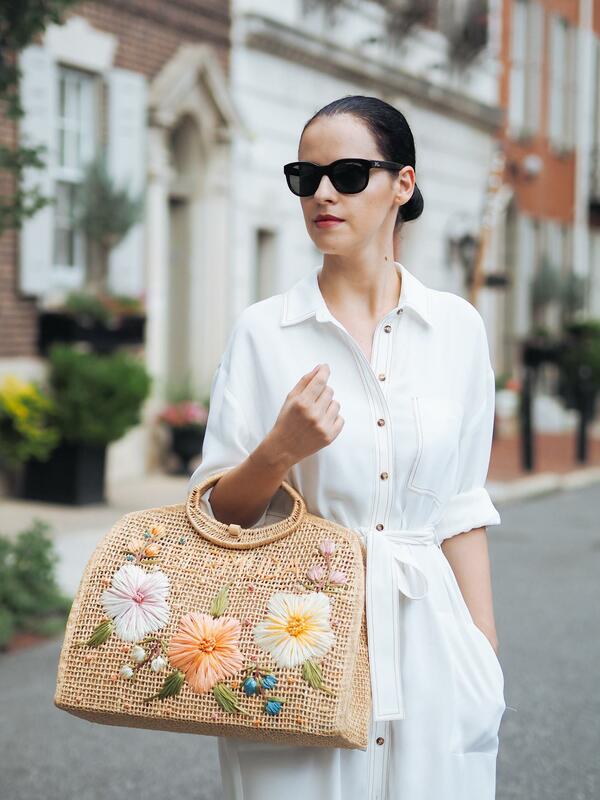 A shirt dress was a smart decision for that breezy day and to complete the look I added this vintage bag that is roomy enough and stylish as well. 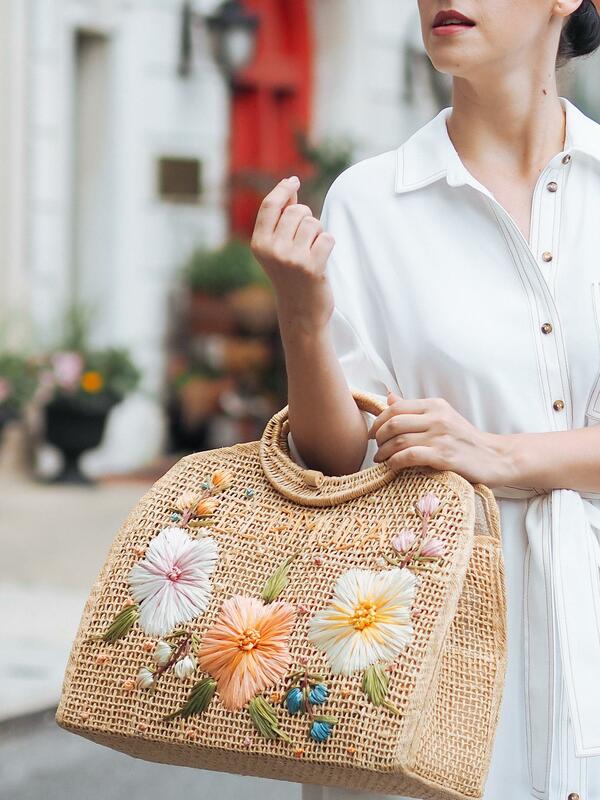 I told you that this entire Summer I'm going to wear all kind of straw, wicker, bamboo bags. Voila... and I'm not stopping here! I’m always simply speechless when I check through your posts!!! 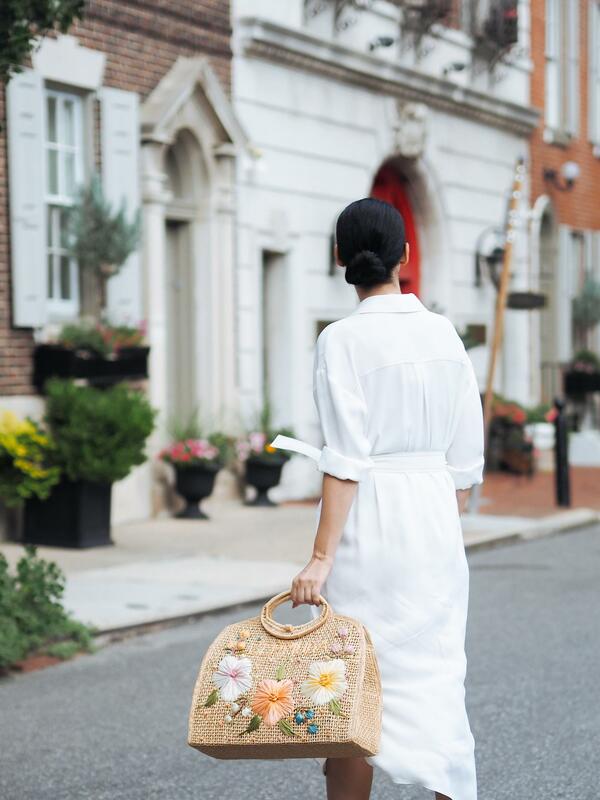 I’m loving your shoes, they’re an amazing pair and that bag is just wonderful vintage find… They don’t make them like this nowadays. Have a great weekend. Thank you very much Natali and have a wonderful rest of the week as well! So amazing photos as usual! Thank you very much Viktoria! Thank you Pat, yes is a mix of raffia and straw. Have a lovely week and thank you for your visit! 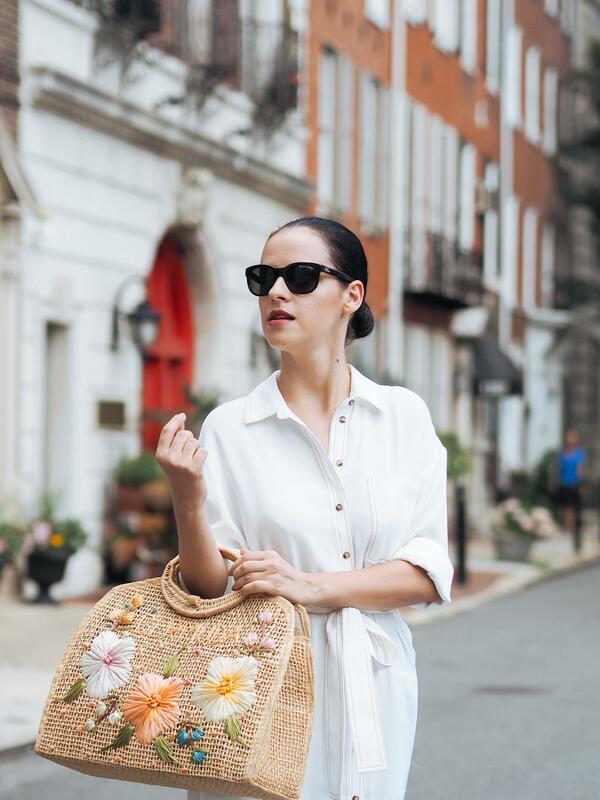 Love this chic summer look and the buildings in the background! When I saw this little but charming street I knew immediately that will look great in photos :) Thank you Jen! Lovely – from head to toe. Thank you so very much Lorena!